Did you know that the most underappreciated people known to mankind are actually workmen? Yeah. I'm not messing about, folks. Nobody believes anything they say. Nobody trusts what they do. And nobody likes the way they look either. Just ask these fine chaps if you want some confirmation. Director / Actor: Eric Sykes, or comedic foil: Tommy Cooper. But only ask them this question in 1967, and for about 45 minutes. Picture the scene. Two workmen. One large (Tommy Cooper). 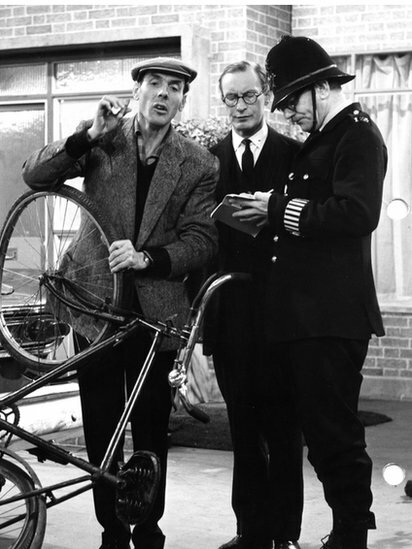 One thin (Eric Sykes). They've just fed the cat. They've just had a little prey. And all they've got to do next, is to drive on over to a nearby lumber yard and fetch back a long plank of wood, so they can then finally finish laying down the flooring in a disused house. Granted, this penultimate chore doesn't appear like much of an upheaval at first. In around about way, both of these workmen just about park-up at the lumber yard in question, and then manage to retrieve an appropriate plank of wood from the top of the pile. However, once they've loaded-up their vehicle, do you think they can get back to the disused house without any fuss or bother? Ha! Like Milligan they can! Yes, folk. You name it. It happens. They loose the wood in transit. They accidentally dunk a Delivery Man (Roy Castle) in a garbage truck. They get a House Painter (Jim Dale) into a right mess. And I won't even mention what they inadvertently do to local Policeman (Jimmy Edwards), when they go in search for this stray piece of material along the way. Still, that's most probably why what next transpires all goes bananas when an old man asks for directions. As pedestrians are disturbed - a policeman has the final word - two workmen find timber - and please make sure that the cat is safe and sound at the end of this picture. Please forgive me, folks. But at the moment I can't help but feel slightly over-sentimental after watching this semi-silent movie, 'The Plank'. Well, nigh on everybody who is in it is dead you see. 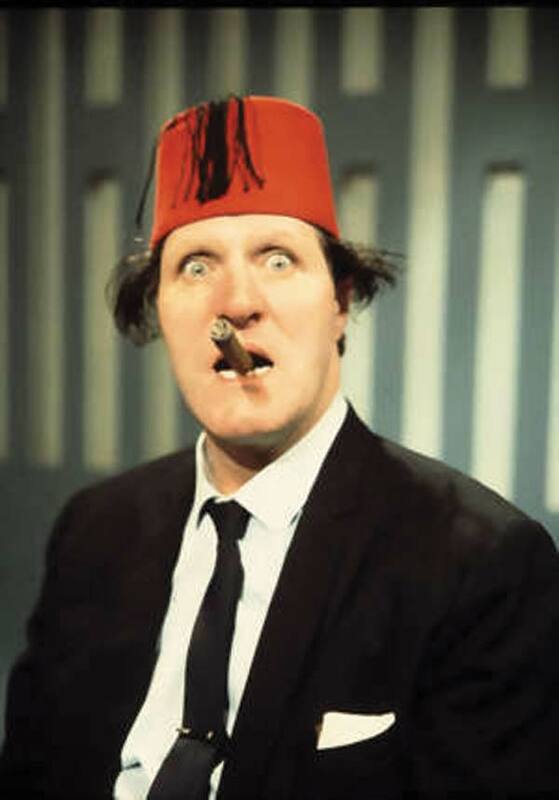 Tommy Cooper. Eric Sykes. John Junkin. Roy Castle. Hattie Jacques. Plus quite a few more I could mention. All of them -- in one way or another -- Great British legends in there own amiable way. Still. I must preserver, mustn't I? And tell you how much I loved watching this classic slice of cinema. Granted, I know what I've just said might sound rather biased all in all. But I'm not kidding you know. This film is a really great film. It manages to tell a very farcical situation about two workmen, who somehow manage to get everyone around them into some sort of trouble one way or another. Admittedly. The constructed premise is a very loose premise to follow. Furthermore, some of the jovial circumstances that occur throughout this flick can be slightly hard to swallow and repetitive by nature. However, apart from these two timely pit-falls, everything else about 'The Plank' is just a joy to behold. Personally speaking, I like to think of it as Eric Sykes' homage to the Charlie Chaplin and Buster Keaton era of filmmaking. With the cartoonish pratfalls. With the simplistic through-line. And with the off kilter 'diversions' full of hi-jinks, hilarity, and all of those other dated words we don't really use today. Moreover, the cast pull out all the stops to make this piece a classic roller-coaster ride that's conceptually a farce on film. Here, check out some of these facts to get the full 411 on this English comedy extravaganza. (1) 'Associated London Films Limited' released this production in the exact same year Charlie Chaplin released his final film, 'A Countess from Hong Kong' -- 1967. (2) The majority this movie was shot on location in Barnes Pond, London, England. (3) I kid you not, the Liverpudlian stand-up comic, Jimmy Tarbuck, was given four bottles of whisky for his cameo in this flick. (4) Originally Peter Sellers was going to be Eric's comedic aide in this picture. But when he had to bail out because of a prior work commitment, he was then replaced with Tommy Cooper, who was supposed to co-star with Peter in 'The Ladykillers' seventeen years previously. 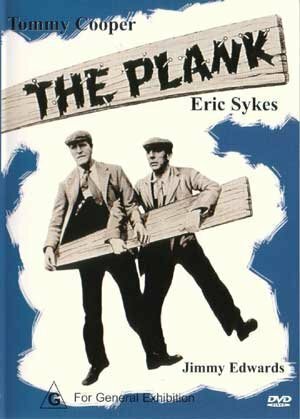 (5) Did you know that this story was based on an episode of a BBC comedy series broadcast in 1964, called 'Sykes and A Plank'? (6) In 1979 this film was remade with Eric and 'Dad's Army' stalwart, Arthur Lowe, both playing the two main leads. 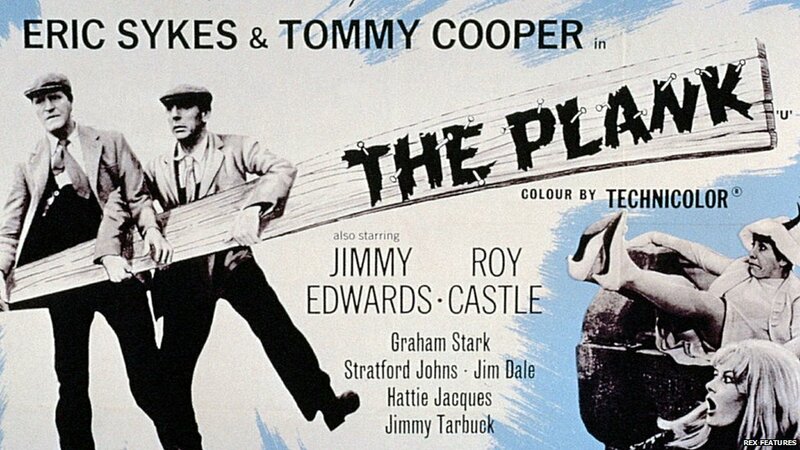 (7) On the 5th of December, 2011, the plank of wood which was used in this film -- signed by the cast -- was sold for £1000 at an auction house located in Colchester. (8) Not only was Beryl Vertue the executive producer associated with this film, but she was also one of the producers attached to the recent 'Sherlock' television series, and once managed the likes of such writers as: Spike Milligan, Johnny Speight, Galton & Simpson, Terry Nation, plus of course, Eric Sykes. (9) Now if you've got a good eye for faces, did you notice the following British greats in this silent slice of cinema? Roy Castle: from 'Record Breakers'. Stratford Johns: from 'Softly Softly'. Jim Dale and Hattie Jacques: from the 'Carry On' films. John Junkin: from 'A Hard Days Night'. Bill Oddie: from 'The Goodies'. Graham Stark: from too many Peter Sellers films to mention. Kenny Lynch: who's the scouse comic seen on the cover of 'Band on the Run'. Johnny Speight: who wrote 'In Sickness and in Health'. Plus many-many more. Overall, 'The Plank' is a great-great film. And it is a must watch for those people who love British Cinema, farcical situations, the way things used to be before the advent of modern technology, and a good old fashioned laugh. Don't you agree, Tommy and Eric?